Winner of the 2013 ESTA award for innovation, the Grove GMK 6400 450 ton crane by Manitowoc is the most powerful 6-axle crane on the market today. It overcame strong competition and took home the distinguished prize at Germany’s bauma trade fair—the world’s biggest construction expo which draws over half a million visitors annually. So what helped the GMK 6400 450 ton crane outmatch and outperform its rivals? A lot: with a 450 ton lifting capacity, the GMK 6400 450 ton crane provides the industry’s best load chart for its class and comes outfitted with a range of innovative technologies. This mix of power and ingenuity enables the GMK 6400 450 ton crane to perform any construction job you throw at it. Compact Design for maneuvering between tight spaces, ideal for heavily urbanized areas such as downtown cores. Power to Size Ratio: GMK 6400 450 ton crane combines the class size of a 6-axle crane with the lifting power of larger 7-axle rivals. In short, it offers higher lifting capacity at reduced fuel costs. Off-Road Ability: GMK 6400’s 450 ton crane Megatrak™ suspension system provides exceptional mobility on rough job sites, ideal for energy projects located around natural terrain such as forests or rocky hills. Easy Transition: With the same basic design, switching from other Manitowoc cranes to the GMK 6400 450 ton crane is effortless, so crane operators can start working faster. MegaWingLift™: Self-rigging and can be assembled without auxiliary cranes, thus reducing transportation and assembly costs. Only 1 lift is needed to install and each can be put together in less than 30 minutes, boosting productivity while saving your business time and money. Improved Crane Functions: Grove’s patented tensioning system increases the crane’s lift capacity even when the boom is angled steeply, with a load chart gain of 38t to 64t at 60m boom. Speed and joystick settings can be adjusted to operator’s needs for greater efficiency; exclusive CraneSTAR system provides continuous self-diagnosis and error logs for quicker trouble-shooting, resulting in minimal loss of productivity and higher profit margins. Fuel Saver Option: automatically reduces fuel consumption while idling (typically 80% of a crane’s operating time), again saving your business money and also cutting down on carbon emissions. Single engine powers both carrier and superstructure, which significantly reduces the overall weight and increases mobility, power and efficiency. Fast and simple installation, efficient cost-saving measures, intelligent self-diagnosis, incredible mobility and enormous power, Manitowoc’s Grove GMK 6400 450 ton crane is ideal for any heavy-duty construction project, whether it’s public or commercial in nature. 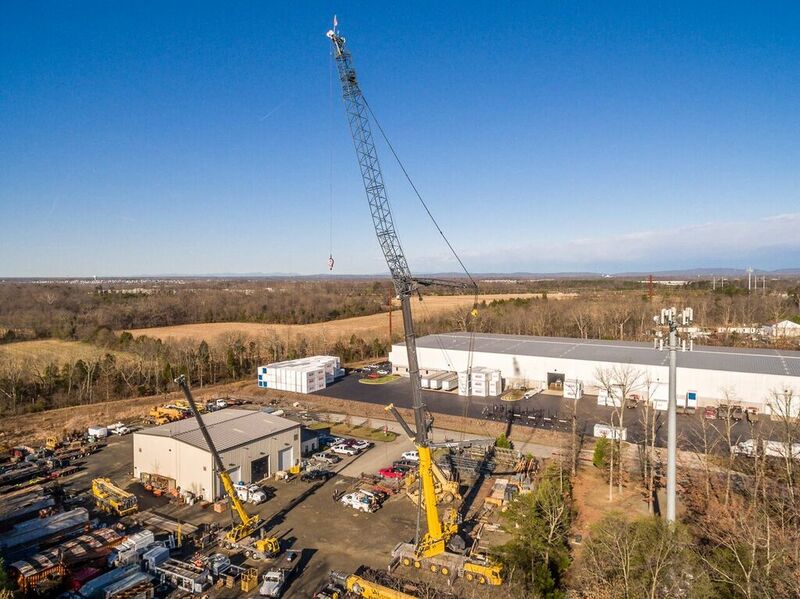 VA Crane offers rental and repair services for the GMK 6400 450 ton crane line, and all of our operators are certified by the NCCCO (National Commission of Crane Operators). 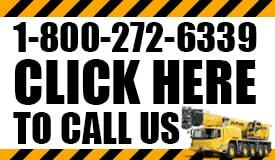 So please call, email or fax us if you’re interested in getting that next big construction job off the ground. 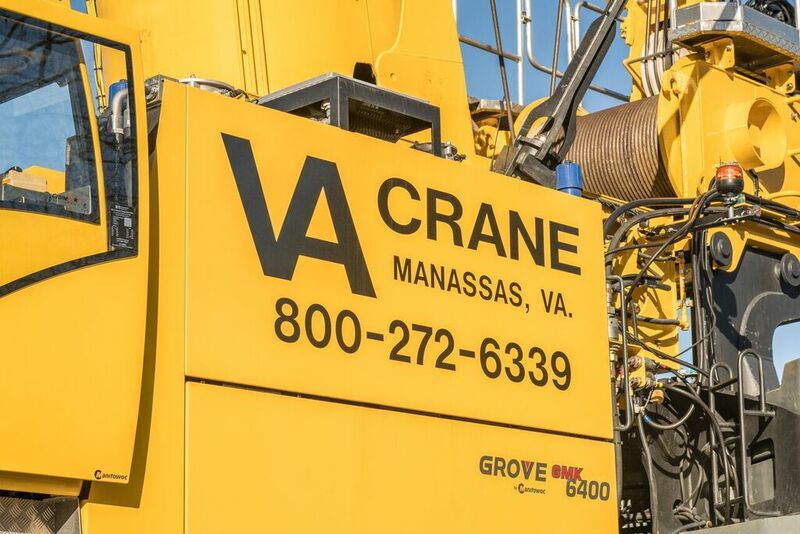 Experience goes a long way and that is something VA Crane Rental has learned over the years. A great example is when you have to figure out which equipment is needed for a job. There are cranes that can handle multiple size projects and they of course are used more than others. However, for the bigger jobs you need something that can get the job done which is why the Grove 450 ton crane is in high demand. The most powerful 6-axle crane out there today, it’s won awards around the world thanks to its outmatched lifting capacity and innovation. The best part of this particular machine is that you can use it for jobs of all sizes because it’s also very maneuverable; giving you the flexibility you need in tight spaces. The demand for this particular piece of construction machinery is high for a very good reason as it can handle the toughest terrain and roughest job sites in order to get the job done. But it’s not just about getting the right machinery, it’s about making sure that you have a crew that can operate it and handle that particular aspect of the job safely. 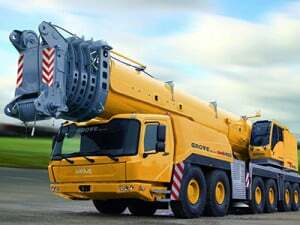 Operating a 450 ton crane is challenging enough but you need to make sure that safety is the top priority. That includes the safety of the workers, the structure, materials and property. Understanding this is what makes VA Crane Rental the best in Virginia and is also a big reason why we have worked with the same contractors for decades. 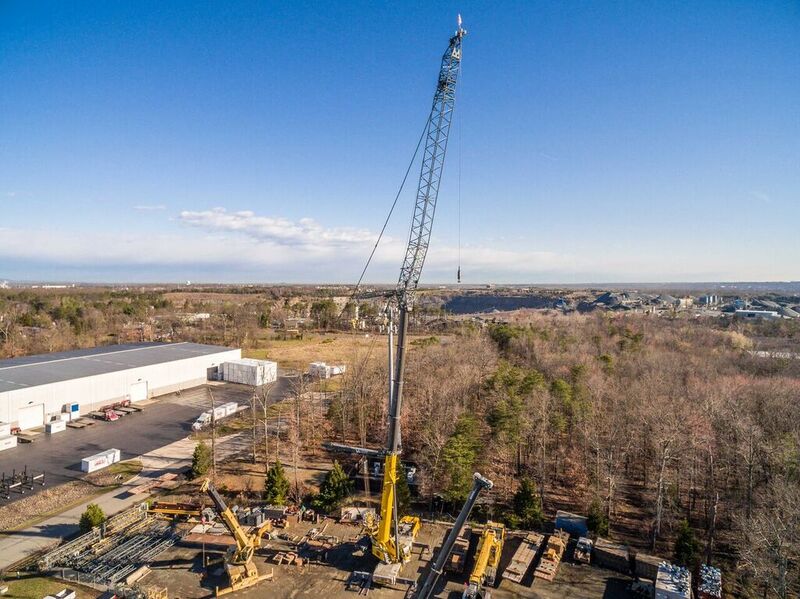 The Virginia construction industry is booming and there is a big demand for a 450 ton crane as larger projects are becoming more common. However, when you try to find a company who can handle the work your search needs to be more specific than just who has a crane of that size. You need to find a team who has the experience working this type of equipment, who has a track record for getting the job done right, on time and on budget and you need a team that will put safety first above all else. We do not believe in rushing a job. It never works and often causes more problems than it solves. Our belief is that if you do the work the right way you will be done on time. Remember, when you are doing crane work on a job the lives of dozens are in your hands as well as tens of thousands of dollars in equipment, not including the machinery itself. That’s a lot of responsibility and you want a company that takes that responsibility seriously. VA Crane Rental puts safety above all else. That’s how we know the work will get done correctly and on time. When you are searching for an agency to hire you want someone who is going to take safety seriously, especially if you are using a 450 ton crane for big projects. Equipment this size demands you proceed cautiously and do not rush. Our experience handling major equipment like this is why we are the team you need to call. It doesn’t matter if a company has the equipment you need, what matters is how they will use that equipment and if they will get the job done right. We will, and you can find out more when you give us a call.